Authorities shot and killed two women who had fled the scene of a gun-and-grenade attack on a police station, according to local media. The dramatic events unfolded in the Istanbul district of Bayrampasa on Thursday morning. Security camera footage released by the Dogan News Agency showed the women firing and hurling a hand grenade at a police bus before apparently aiming at the police station. 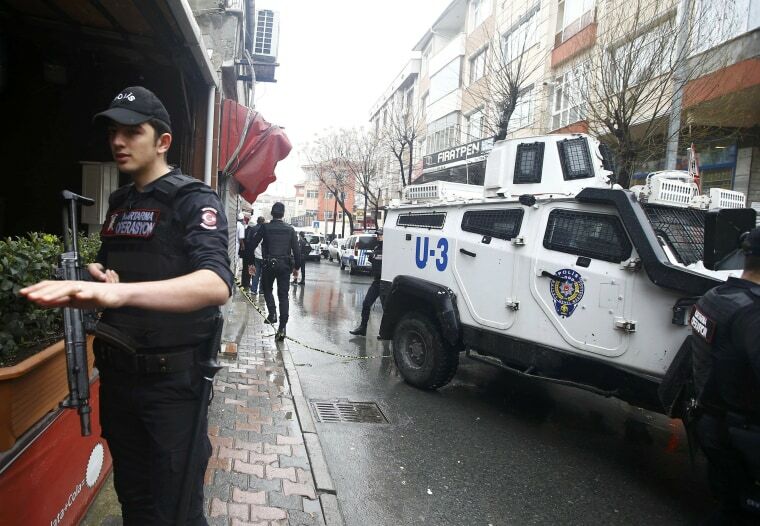 One police officer was wounded as was one of the assailants in the aftermath, according to the Hurriyet Daily News and the state-run Anadolu News Agency. The female attackers managed to flee the scene and holed-up in a nearby building, local media reported, provoking a standoff with police. Special forces officers cordoned off the neighborhood and reportedly evacuated the area before mounting an operation. An explosion followed by smoke and gunshots was heard as police moved in, a live feed of the operation showed. Officers filled the streets and a helicopter circled overhead as police prepared to storm the building. Police later said the two women had been shot dead, according to Turkey's NTV and Anadolu News Agency. Istanbul Governor Vasip Sahin said one police officer was wounded in the operation. Further details were not immediately available. The Anadolu Agency, without citing a source, said the women were identified as members of the banned far-left group, the Revolutionary People's Liberation Army-Front. The group — also known as DHKP-C — has carried out a series of attacks including a 2013 suicide bombing on the U.S. Embassy that killed a security guard, according to The Associated Press. Turkey has seen a recent spate of terror attacks, most blamed on ISIS or Kurdish rebels.